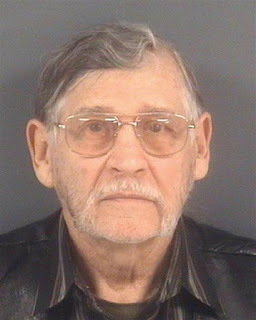 John Franklin McGraw, 78, of Linden was arrested Thursday morning after assaulting Rakeem Jones, who had been protesting at the event. 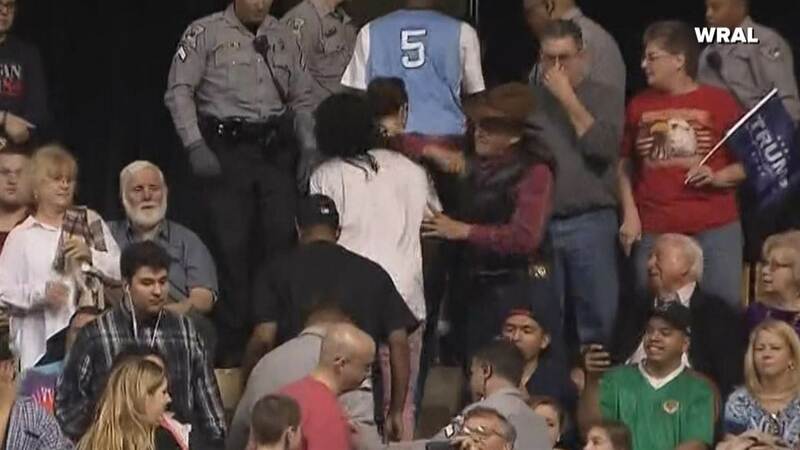 Jones was being escorted out by law enforcement when videos show McGraw punching him. Just last month Donald Trump said he wanted to punch a protester in the face. Perhaps that's what inspired 78-year John Mcgraw to sucker punch a protester being led away from a Trump rally in Fayetteville, N.C. two days ago. "Yes, he deserved it," John McGraw (photo right - Cumberland County Sheriff's Office)) said in an interview. "The next time we see him, we might have to kill him. We don't know who he is. He might be with a terrorist organization." Is he scary enough for you? At another rally in Iowa, Trump promised to pay the legal fees of supporters who "knock the crap out" of protesters who may appear at the rally. Despite the fact that McGraw sucker punched Jones, it was Jones who got handcuffed and led away by several guards. Sounds like them Good Old Days in Dixie are being resurrected by Trump's demagoguery. Protestors at Clinton and Sanders events don't have to worry about being beat up by the crowd or the cops. It hasn't happened, and won't. That's because protestors are treated like humans at their rallies. Something Trump - and apparently some of his more rabid followers - chose to ignore in their righteous wrath to stomp out any dissent. If that doesn't sound like Facism, nothing does. 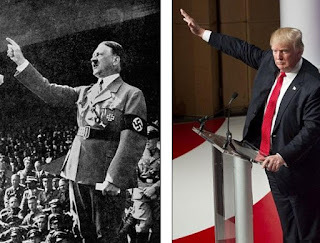 Trump has the crowds saluting him now, just like his mentor, Adolf Hitler, did in 1935. 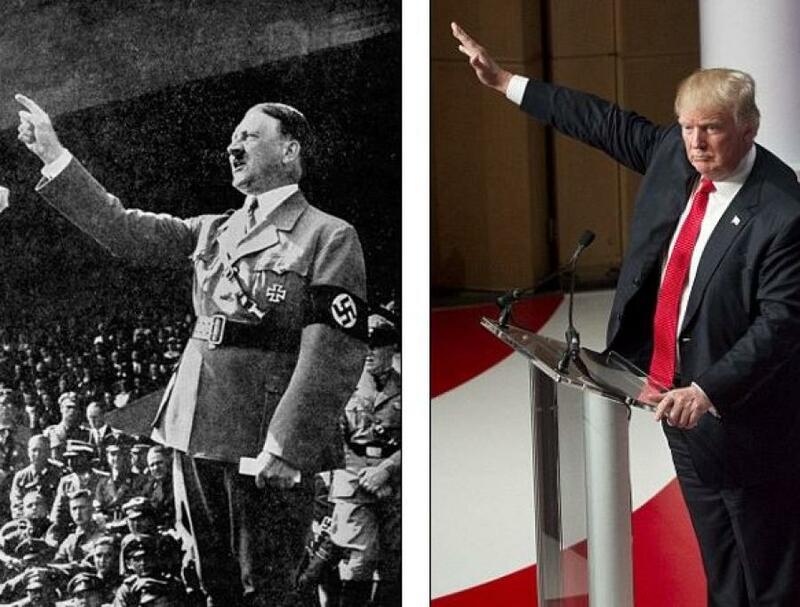 Trump is bragging that he's started a movement. Well he has, but it bodes badly for the common American citizen. As he whips up crowds with racist comments and hate-fueled rhetoric, Trump is trampling everything America stands for. Keep your eyes open as this race progresses and don't be surprised if more protestors are attacked. You can bet there's more John McGraws out there willing to go to any limits for their Furor. Look closely at the people who are following him in rallies. They're angry. They turn on protestors like the Nazi's did the Jews...with senseless hate and violence.